The ultimate cloud experience is a hosted desktop solution. 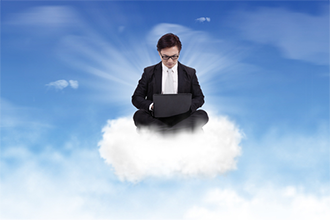 Your entire working environment is placed in the cloud including your desktop operating system. No longer are you confined to your PC or laptop with its operating system to view and access files. With a hosted desktop you can access your files on any device, at anytime, anywhere. Whatsmore, the hosted desktop experience, because it uses Windows 7, has exactly the same look and feel as a normal PC or laptop.